LOOM KNITTING STITCH GUIDE | Loom Knitting by This Moment is Good! 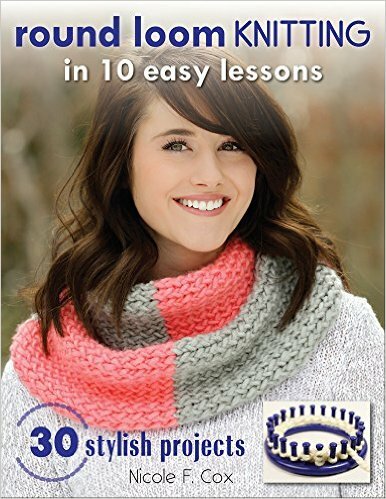 Below is a guide of the most useful #loom knitting stitches and techniques used in loom knitting. I hope to keep adding to this guide and welcome readers to comment on stitches and techniques they would like to see appear here. In the future, I will try to update this post with pictures. That way you'll be able to see what the individual stitches and techniques look like. KNIT STITCH - Loosely lay the working yarn on the outside of the loom, above the loops that are already on the pegs. using your knitting tool, lift the bottom loop over the working yarn and over the peg forming a new stitch. 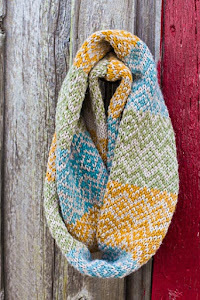 E-WRAP KNIT STITCH: (Abbreviation EWK) - Same as knit stitch, except instead of lying the working yarn flat above bottom loops, you would wrap each peg first then knit. 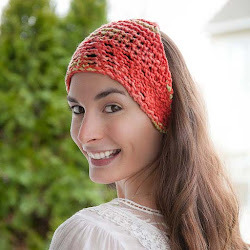 DOUBLE E-WRAP KNIT STITCH: Creates a loose stitch for a lacy shawl or other project. Wrap the peg you wish to double knit, lift the bottom loop over the top loop and off the peg, repeat (double e-wrap stitch made). PURL STITCH: Lay the working yarn on the outside of the loom below the loops already on the pegs. Insert your knitting tool down through the loop on the peg, grab working yarn, pull yarn up through loop forming a new loop. With your fingers, pull original loop off the peg and place new loop back on. STOCKINETTE STITCH: (Will Curl) - Knit all rows/rounds until desired length. TWISTED STOCKINETTE STITCH: E-wrap knit all rows/rounds until desired length. Results in a loose weave full of texture. CROSSED STOCKINETTE STITCH: Alternate a row of e-wrap knit stitches with a row of knit stitches. This will result in a medium weave textured fabric. REVERSE STOCKINETTE STITCH: (will curl) - Purl all rows/rounds until desired length. RIB STITCH OR RIBBING: (will not curl)-good choice for cuffs and hems. Single Ribbing: Involves (2) stitches. row/round 1: K1, P1, K1, P1, repeat. Do this every row until you reach desired length. Double Ribbing: Involves (4) stitches. Row/Round 1: (K2, P2, K2, P2, repeat). Do this every row until you reach desired length. MOSS STITCH or SEED STITCH: Row/Round 1 (K1, P1, K1, P1, repeat) Row/Round 2: (P1, K1, P1, K1, repeat), Repeat, alternating each row/round. GARTER STITCH: (Doesn't curl, reversible) Row/round 1: Knit, Row/round 2: Purl, repeat, alternating each row/round. Criss Cross Stitch: Video from the knitting Board. Click Here: Criss Cross Stitch Tutorial. HONEYCOMB PATTERN USING BOX STITCH: Directions for honeycomb scarf. 2013, Nicole F. Cox, thismomentisgood.blogspot.com, all rights reserved.